Every architectural firm has a space in the office dedicated to samples and books that they have accumulated over the years. We call this the architectural sample library. I would like to offer, to those who are thinking of remodeling, some of my favorite remodeling samples and resources that I show clients and often use when I design. Siding – There are many different natural siding options like wood, brick, plywood, stucco, concrete or stone. These can provide a beautiful exterior finish but there are a couple of other options that you might not be aware of. Cement Board – James Hardie makes panels and vertical siding which you can find at your local lumber yard and are inexpensive. But there are other products that are much more durable and look better. Brick– There are many bricks but very few that are black or gray. I have found some really nice smooth and rough faced dark gray bricks with a silver reflective finish. Stone and Slate – The nicest stone and slate samples I have ever seen. Aluminum Foam – I have never used this product but the samples are the coolest. Windows – There are some awesome windows out there and I even have used commercial aluminum storefront windows in some of the houses that I have designed. Below are the best wood and fiberglass windows/doors on the market, in my opinion. Boycott anything vinyl except vinyl records! Door Hardware – The door handle will be one of the first things that someone will experience at your house. Give them a firm handshake with solid door hardware. Cable Rail – Most lumber yards stock cables, connectors and turnbuckles but if you want to salivate over what is possible, there is only one catalogue to look at. Paint– I have found paint colors to be very subjective and my clients generally like to choose their own colors. Choosing colors is not easy and I believe it should be done with a material board or collection of samples of the other finishes used throughout the house. 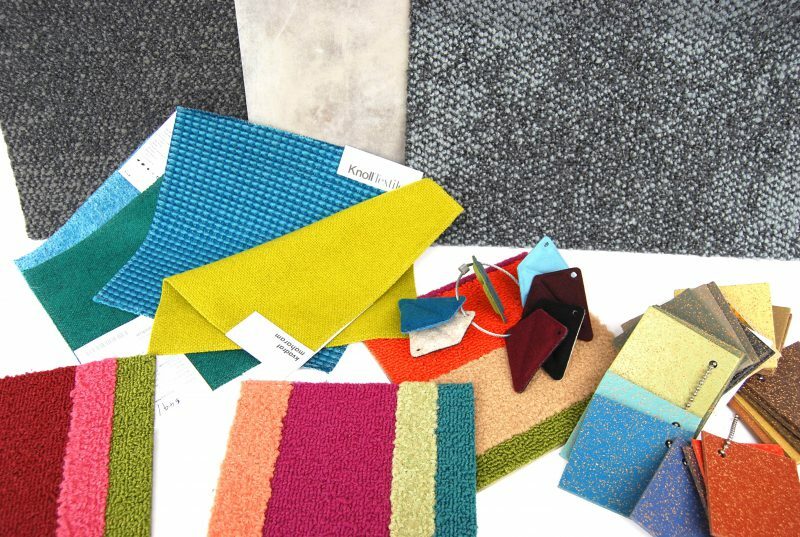 Find a nice table and lay out all of the material samples you intend to use including cabinets, carpet, flooring, tiles, furniture fabrics etc. White- A great neutral white paint that I have used in every project is a Benjamin Moore paint. It is warm in some light and cool in others but most important it does’t look “chalky”. One word of advise though, get a sample from the store because the computer color does not look the same. For a modern and mid-century color palette I would look to a book called Le Corbusier- Polychromie Architecturale. I believe that a 3rd edition has just been issued. There is only one company that I know of that manufactures these highly pigmented paints. I have always admired the sculpture and colorist Donald Judd . One book that I really like documents the actual RAL colors that he used is called Donald Judd: The multicolored Works. I discovered some of my favorite colors from a shopping bag, spray paints and automobiles. Cabinets– You can have your cabinets made locally or purchase high end European kitchen systems but I often reference two other alternatives for the do-it-yourself homeowner. Countertops – Ikea has some great countertops that are from local quarries and for a very reasonable price. Some of my clients use laminate with a nice metal edge detail or finished plywood end grain. Instead of using a stone why not try a solid surface? Cork – A natural flooring material that has been used for years is cork. 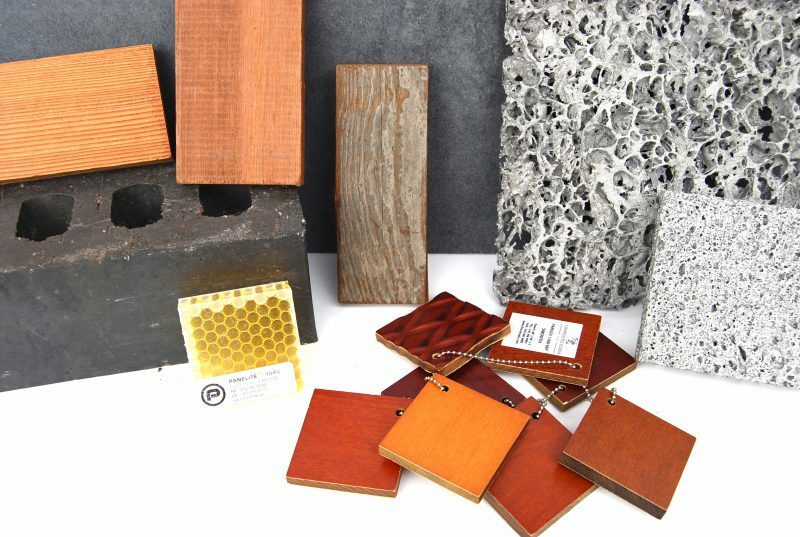 Most are familiar with this material but you may not have seen a cork/recycled rubber composite that is fairly new and comes in different colors. Carpet – I like carpet tiles for a sharp modern look and they can be installed by anyone. There are two manufacturers that I know of that have plenty of patterns and textures to choose from. Furnishings – There are many things that can deaden sound including carpet, furniture and even clothing. One of the coolest products that I have seen is the Kvadrat Clouds designed by Erwan and Ronan Bouroullec. They are not inexpensive but offer a beautiful work of art and at the same time help to deaden a loud space.